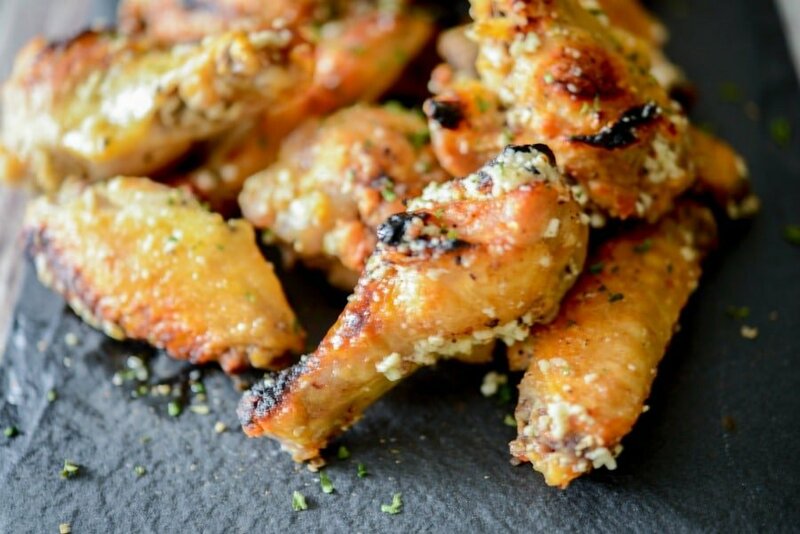 Parmesan Peppercorn Baked Chicken Wings: Chicken wings baked until crispy and golden brown; then topped with a Parmesan peppercorn garlic butter sauce. There’s a local restaurant where we live called Jimmy Geez and they make some pretty tasty wings. We don’t go there very often because it’s mainly a sports bar that’s loud, usually has patrons that are half of my age (my daughter and her friends meet up there on occasion while home from college) and let’s face it, at 50 I’ve kind of outgrown those types of places. 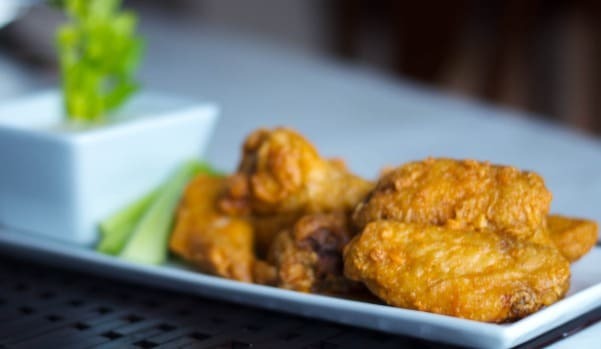 But because it’s so close, every now and then my husband and I will go for lunch or meet up with friends because they do have other items on their menu like burgers, sandwiches, salads and of course, to get some of their Parmesan Peppercorn Chicken Wings as it’s one of my favorites! I know chicken wings in general aren’t going to be a healthy menu choice, but I did want to try to make these myself without frying them first, like restaurants normally do. To be honest, these were so good, I couldn’t tell the difference once you added the sauce. 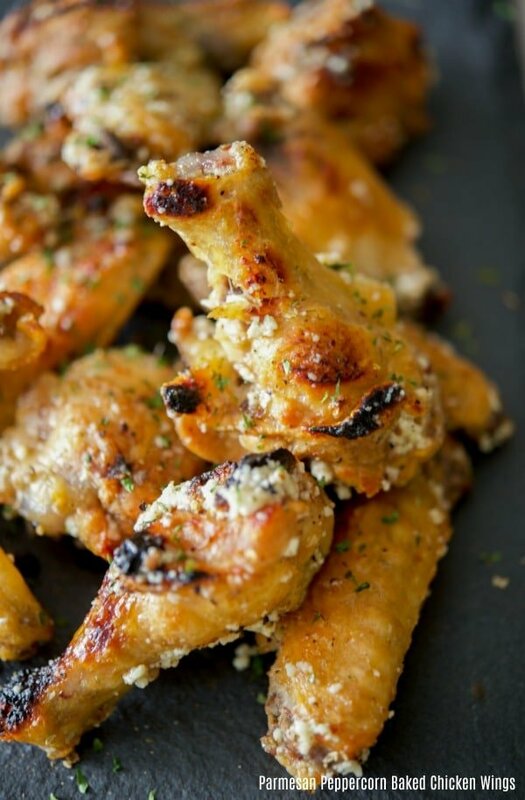 For this recipe you’ll need chicken wingettes (or chicken wings cut down into wingettes), EVOO, butter, garlic, grated Parmesan cheese and crushed peppercorns. Start by preheating your oven to 400 degrees F; then line a baking sheet with a wire rack. Toss the wings with olive oil to coat, sprinkle with a little salt and pepper; then place the wings on the rack. Cook for 40 minutes( turning the wings halfway through) then place them under the broiler for 10 minutes (5 minutes per side) to get them crispy. While the wings are cooking, make the sauce. In a small saucepan, melt the butter along with the garlic, cheese and peppercorns. 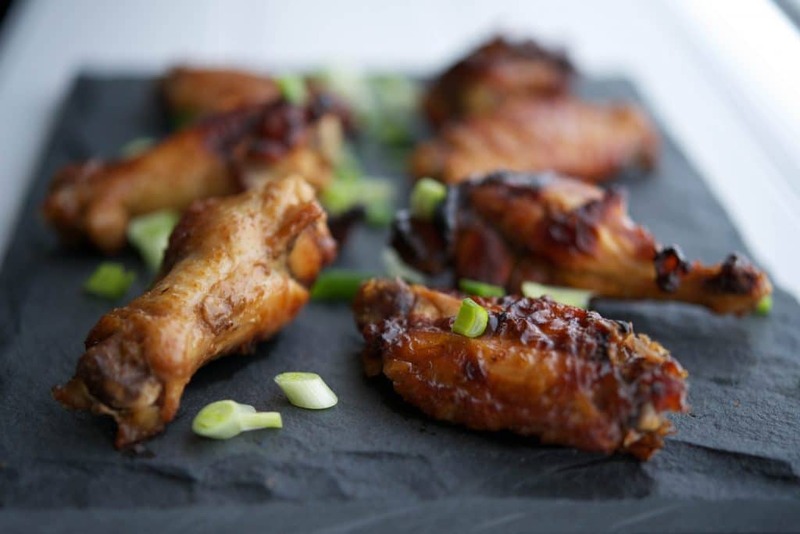 When the wings are done, remove them from the oven and place in a large mixing bowl. Pour the butter mixture over the wings and plate them to serve. You can sprinkle some extra cheese and peppercorns on top as a garnish. 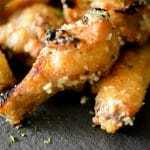 These Parmesan Peppercorn Baked Chicken Wings were delicious and tasted just like the ones at the local restaurant. They’re perfect for game day snacking or even to serve as a meal. ~Enjoy! 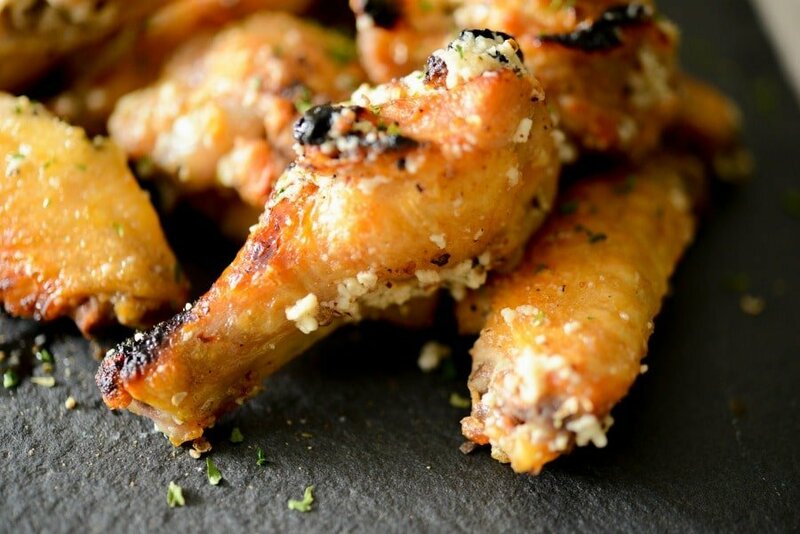 Chicken wings baked until crispy and golden brown; then topped with a Parmesan peppercorn garlic butter sauce. Preheat oven to 400 degrees F and line a baking sheet with a wire rack. 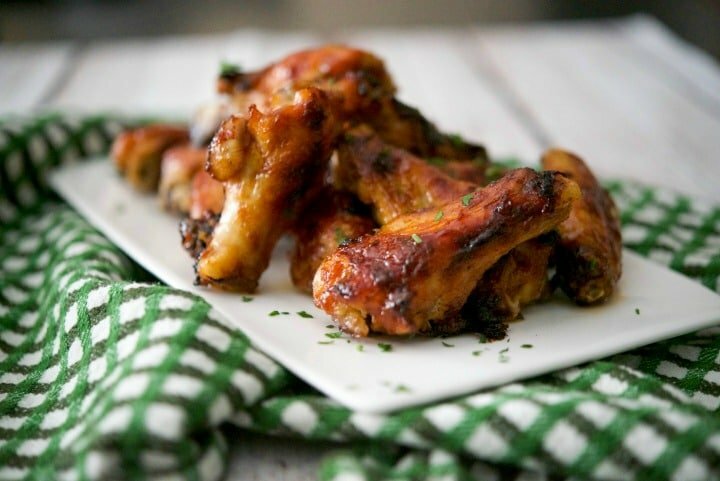 In a bowl, toss the wings with olive oil, sprinkle with a little salt and pepper; then place the wings on the rack. 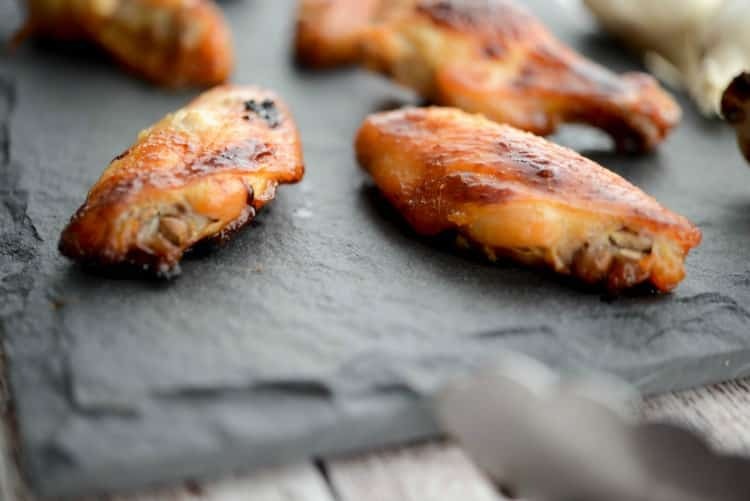 Cook for 40 minutes( turning the wings halfway through) then place them under the broiler for 10 minutes (5 minutes per side) to get them crispy. When the wings are done, remove them from the oven and place in a large mixing bowl. While the wings are cooking, make the sauce. In a small saucepan, melt the butter along with the garlic, cheese and peppercorns.